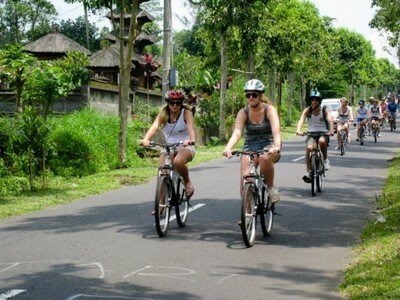 Bali Downhill Cycling Tours is a rare opportunity to see the real Bali, a 4-hour peacefully exhilarating downhill cycling experience through the quiet village back roads.We begin by whisking you away from your accommodation to the beauty of Kintamani, nestled high on a volcanic crater rim, where you will enjoy a morning tea or coffee to the stunning views of Lake Batur and its smoking volcanic neighbor. 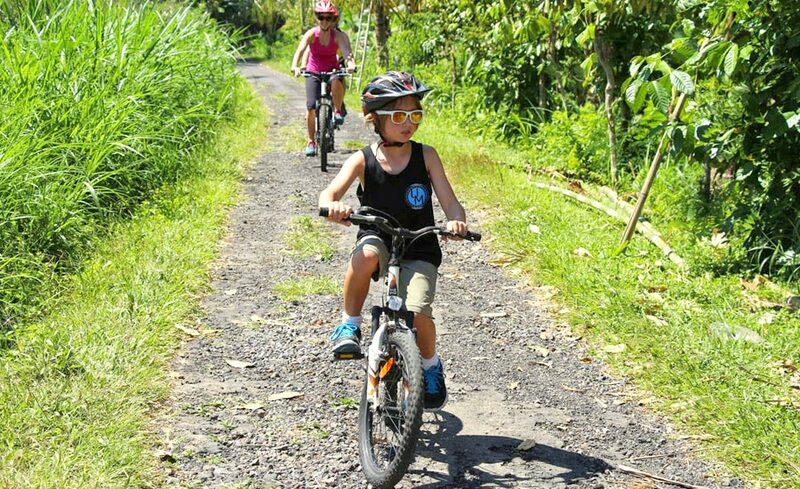 After morning tea or coffee we're off on our mountain bikes, with our friendly guides leading at a leisurely pace along the tranquil, less traveled roads through the traditional villages and varied landscapes of Bali. 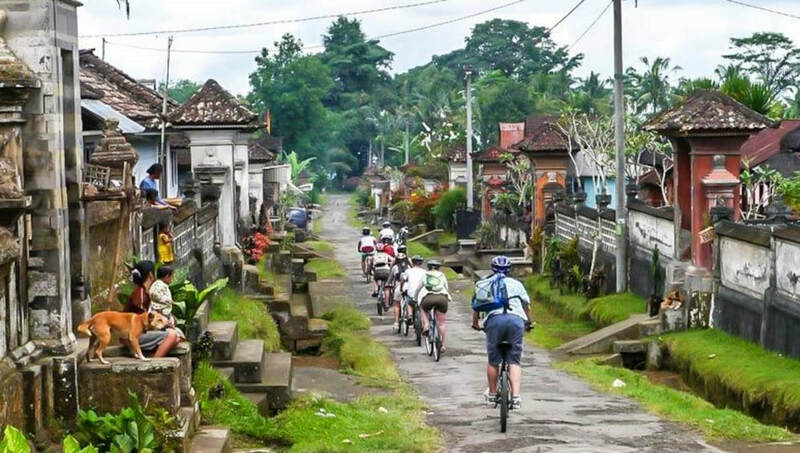 Cruising downhill, you can watch the passing parade of rural life, chance upon a special temple ceremony, stop at a village warung to chat with the children, or watch local Balinese wood carvers at work. Along the way, we stop to visit a traditional Balinese family local compound, a privileged look amidst its daily routine.